The image of the Houses of Parliament adorns tea towels, mugs, keyrings and even sauce bottles, making it one of the most easily recognisable buildings in the country. Not only are the Houses of Parliament iconic, but they are also steeped in history and surrounded by intrigue, so it’s a fantastic attraction to visit if you’re taking a trip to London this month. Read on to discover what to expect when touring the Houses of Parliament along some interesting historical facts to help you find out more about this popular tourist attraction. Located just twenty minutes away from the Park Grand London Lancaster Gate, you can’t miss this imposing building. Construction of the building we see today took thirty years, finally being completed in 1870. Before this period, an ancient palace stood on the grounds where the current Houses of Parliament stand today. The Great Hall is the only remaining part of the medieval palace built by King William II. The Palace was remodelled and extended over the centuries by various monarchs before fire sadly destroyed most of the original structure in 1834. After being rebuilt, the modern Houses of Parliament are used for making laws, checking the work of the government and debating current issues, many of which visitors are able to observe. If you fancy taking a tour of the corridors of power yourself, we have several hotels near Westbourne Terrance that have excellent Tube links to the area and leave every ten minutes, making it the perfect base for your trip. Discover more about the high-profile trials for treason such as Guy Fawkes and his gunpowder plot or the case of the condemned Charles I who was sentenced to death under charges of treason and murder. 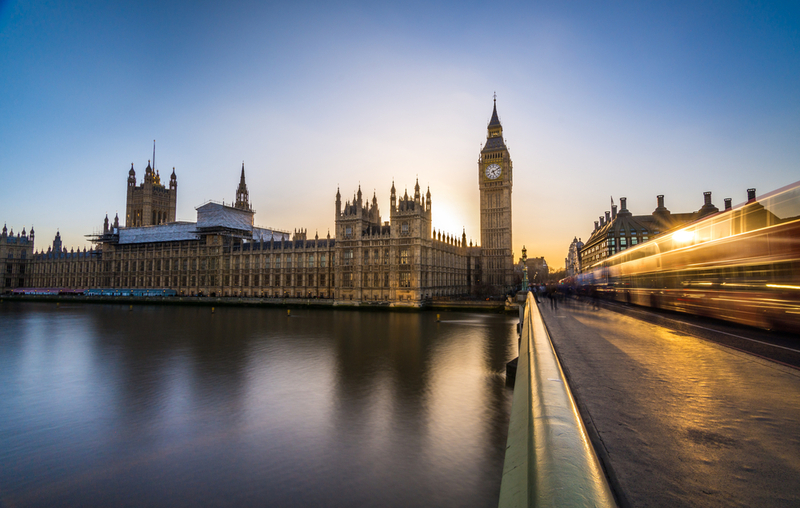 Tours take place on various dates and times during the year when Parliament is in session, so it’s best to check and book in advance before setting off from your Park Grand London Lancaster Gate hotel. Audio tours are also available and last on average for around ninety minutes, so make sure you have some comfortable footwear as there are plenty of rooms you’ll want to explore! By choosing one of our hotels near Westbourne Terrance for your stay, not only will you be able to get to the Houses of Parliament quickly, but you’ll also be able to return to witness a Parliamentary debate should you be lucky enough to still be in London on the days when they are open to the public. The Houses of Parliament isn’t just a fascinating place to discover more about the history of England and how its laws are created, but it’s also a fantastic place for those all-important photo opportunities, so make sure you don’t forget to bring your camera and plenty of spare memory cards along. After all, you’ll want to be able to show your friends and family that you’ve visited one of the UK’s most iconic landmarks as soon as you return home. Share the post "Touring the Houses of Parliament – history and what to expect"
This entry was posted in London Travel Guide and tagged hotels near Westbourne Terrance, Houses of Parliament, Park Grand London Lancaster Gate. Bookmark the permalink.